Break Out Your Flip-Flops, Come and Play In Dennisport!! 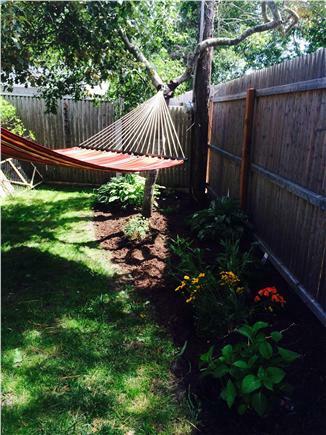 This rental is not subject to the Massachusetts excise tax on short-term rentals. 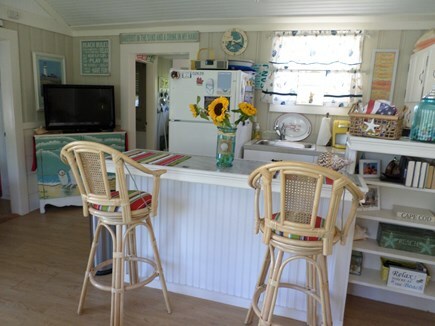 Enjoy a relaxing stay in this polished Cape cottage. 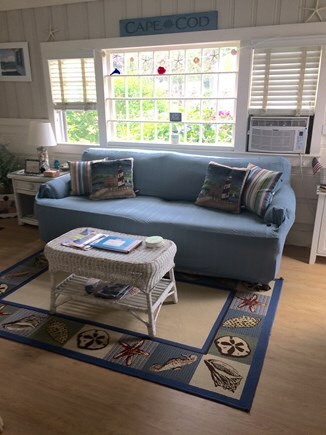 Immaculate and remodeled, it's just a short walk to the Nantucket Sound beaches as well as the best restaurants and shops in Dennisport. Lounge on the colorful Adirondack chairs or the spacious deck including a patio set with umbrella and an attached hammock while you cook up some burgers on the grill. 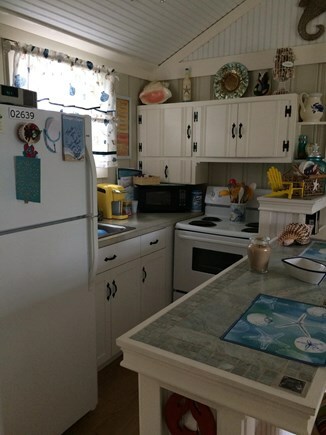 The home can accommodate 4 people with two bedrooms (one queen and two twins), a living room, kitchen including a breakfast bar, full size fridge/freezer, oven/stove, microwave, toaster, blender and Keurig coffee maker - and central air conditioning. There is a slider to the deck/patio, a BBQ-grill, huge remodeled outdoor shower, and a ceiling fan in the living room, Wifi and cable TV. Quiet, safe and family oriented neighborhood - great for kids to ride bikes and play outside. Sorry, no pets, no smoking. Please bring your own linens and towels. You won't be disappointed, book now. Additional pricing info: This rental is not subject to the Massachusetts excise tax on short-term rentals. We were lucky to find this cottage available when we wanted it and could not have been happier with the result. Linda and George are extremely gracious owners who made us feel very much like family. 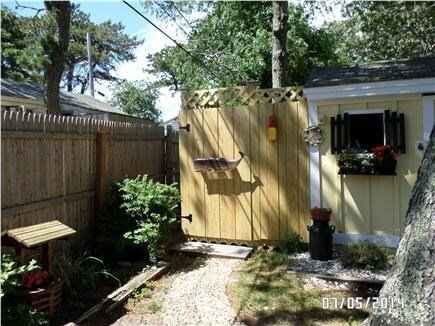 The location is perfect to tour many areas of Cape Cod with usually a less than half an hour drive. We definitely are looking forward to a return visit. Probably one of the best vacations we ever had. The weather was great and the cottage was awesome. We were surrounded by activities -- beaches, restaurants, etc. -- all within walking distance. It was very peaceful back at the cottage. 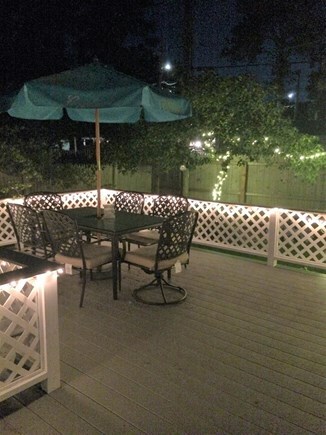 The deck out back was tremendous -- coffee in the morning, having a drink, listening to the music, outside shower. Probably the best vacation home we've ever had. This place was awesome. This is the second stay for our family of three in this lovely cottage. 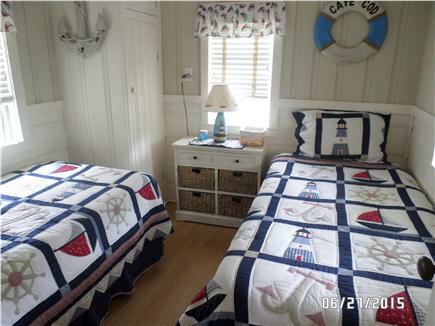 Linda and George take great pride in their vacation cottage and it shows. There is everything you could possibly need to make your stay comfortable and It is located near great restaurants and beaches. We love the deck and outdoor shower also. Great property, we will be back. 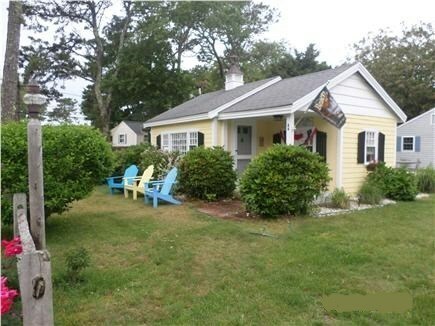 After renting on the Cape for many years, we think we found our home away from home. Linda and George are wonderful hosts, greeting us with a gift and so proud of their cottage. And they should be. Fully renovated, cozy and comfortable with all the comforts of home. The listing photos do not do the property justice. Our highlights were the spacious lit deck, perfect for morning coffee, a barbecue or a late night cocktail, the wonderful outdoor shower and a comfortable queen bed we wanted to take home. The neighbors are so friendly. 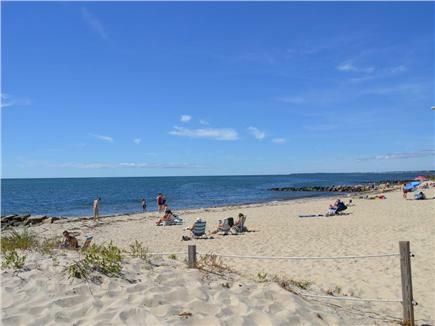 The location is close to everything-never needed the car to hit some great beaches. Wonderful sunsets at West Dennis beach. Deposit is in for another wonderful week on the Cape next year! My husband and I spent a week at Linda and George's cottage and loved every second! It is so cozy, clean, comfortable, and a real home-away-from-home. We loved the outdoor shower, deck, and location! Linda and George were so helpful to answer questions and give trip ideas. We would absolutely stay here again! We can't imagine staying anywhere else on the Cape. 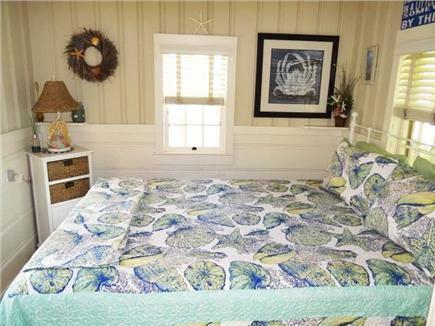 There are so many wonderful things about this beach cottage.... the beach decor, the deck,the hammock, the amazing outdoor shower, sleeping with the windows open and hearing the waves in the distance and the feeling that cool ocean breeze at night! It is such a great location and an easy drive to most everywhere on the Cape!! !